They say food is the fastest way to a man’s heart. I’m pretty sure pizza ranks highly in that regard. Just ask your brother whose face is nearly glued to the monitor playing “Doom (2016)” for hours. 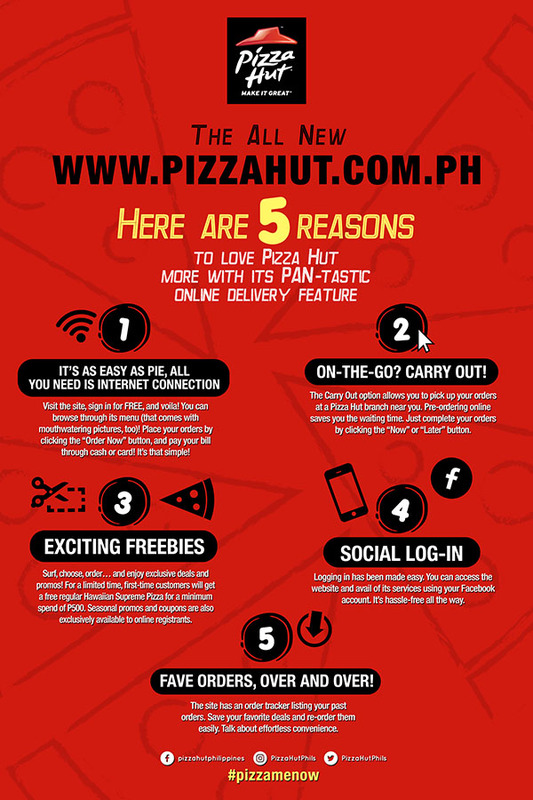 With Pizza Hut’s new online ordering system, via its brand new user-superfriendly website www.pizzahut.com.ph, it’s now a breeze to get your pizza cravings fulfilled. They use #PizzaMeNow and it can’t be more appropriate. 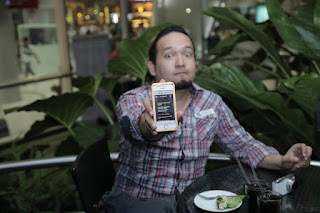 Joining a handful of bloggers at Pizza Hut’s latest event was also a thrill, not just for the opportunity to hobnob with friends at this rain forest-within-a-mall type of venue called Oasis at Gateway, but also for the fact that our take-home treats were no less than several pizzas! Pizza Hut’s affable Marketing Manager Loren Adrias took us through the simple online ordering process. 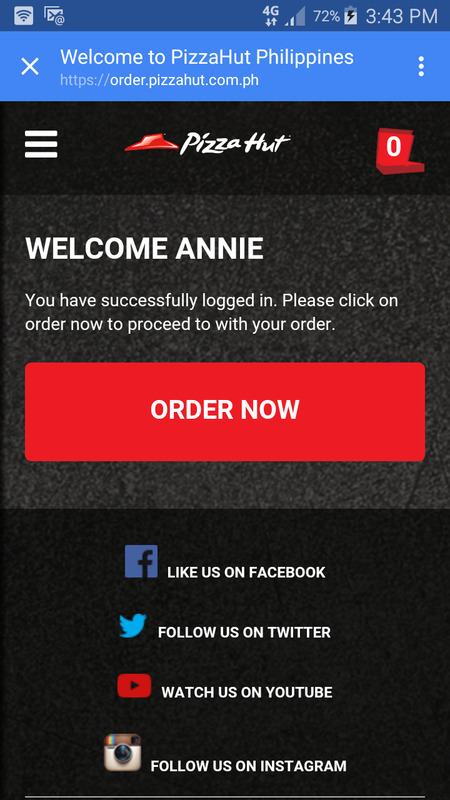 That the Pizza Hut website is mobile-friendly is a big plus! After all, you’re not always lugging that laptop with you. And pizza at work is... hmmm, that only goes over well if you’re willing to share. So, okay, the only hitch to this is your internet connection; but once assured of strong wi-fi signal, everything is awesome (didn’t we hear that in a LEGO movie once?!). You sign in and give your info – no problem, we do that sign up thing all the time! – and then, order away. What we didn’t know was, and this is a superb treat I’m sharing, first-time users of Pizza Hut’s new online ordering website gets a FREE regular size Hawaiian Supreme pizza for a minimum order of P500! Seriously, you get an extra P299 pizza for your P500 order – that’s, like, a freebie worth more than half of what your minimum order is. Do the math, it’s not that hard. Or just trust me when I say this is one deal you’ll come out on top. Just don’t forget to click on the Coupon tab before you check out and pay to get it – and don’t say I didn’t remind you. At any rate, that night was the most filling night of my life. There’s really nothing better than catching up with friends in such a laid back atmosphere, where we enjoyed music to boot (the night’s activity featured the band Kaleidoscope Eyes led by Gab Cabagon, son of Noel Cabangon). Also, do you know that birds of the same feather flock together? We also hung out with BInibining Pilipinas International 2016 Kylie Verzosa, who had just recently left to compete for her pageant in Tokyo, Japan (good luck, Kylie! Bring home the crown!). 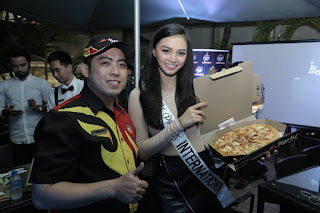 After enjoying some Pizza Hut pasta and other dishes at the event, we each took home two Flavors of the World pizza, our free regular Hawaiian pizza, and a bottle of Pepsi. 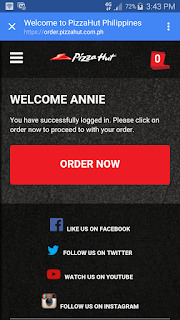 Now, who here hasn’t ordered Pizza Hut through their website yet? First-timer, are you? Are we friends on FB? May I add you? 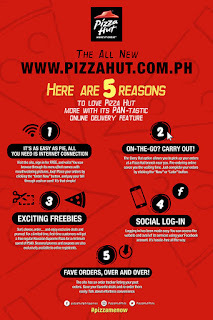 To give you a simplified list of what makes the new www.pizzahut.com.ph site awesome in my book, check out this infographic. ‘Til your next pizza craving and mine, let’s do #PizzaMeNow sometime.